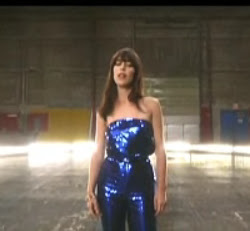 Feist's "1234" video has been a compared to a GAP commercial (that's kind of sad, for the video director). doing a cover of Madonna's "Hung Up". That is so terrible for Feist because she is amazingl y talented and is sooo good in concert. She is way prettier then Alanis and her new album rocks...check it out!